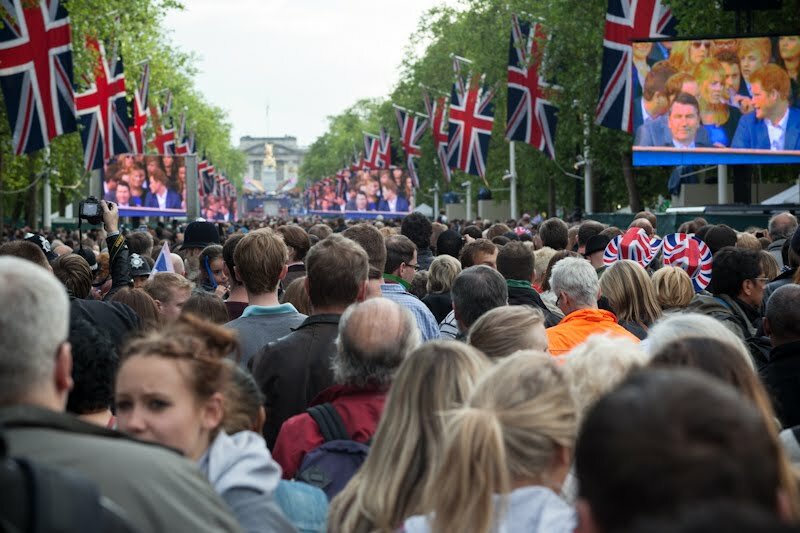 Crowds filled the Mall, spilling over into Hyde Park. A jubilee sound and light show spectacular. The light show outshining the sound. At the end of the concert the Queen lit the last of the 4,200 commemorative beacons that have been lit around the country and throughout the Commonwealth. The grand finale, a spectacular fireworks display. And you right in the middle of it all! You were so close to the front. I am jealous. It looked incredible on TV. That firework display at the end - just amazing! This must have been a fantastic celebration. I think one of our networks is going to show a taping of the concert on tv tonight. Quite a celebration. Many people on this side of the pond have been following the activities closely. 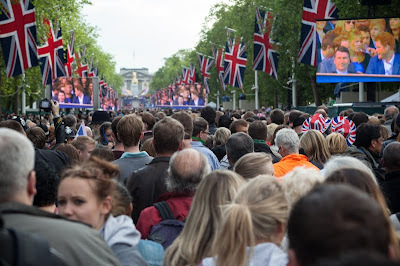 So many terrific things - the angle, endless sea of people, flags, giant screen. Amazing capture! I watched the show on CBC tonight and it was amazing! What a show and what a crowd! I wish I could have been there for this wonderful event. I wish I had been there! Congratulations with your queen. Must have been marvelous to be there Mo, it certainly was a pleasure to watch on telly.